These days, more and more transactions are happening online. The use of micropayments is becoming a much more prevalent form of small online payment for supporting online communities transactions and several types of online goods and services. To avoid multiple external transactions fees and process Adding a form of virtual currency is essential for overall ecommerce success, especially in-site transactions. The use of micropayments when working in WordPress is increasing, and there are several micropayment plugin options for your WordPress site. 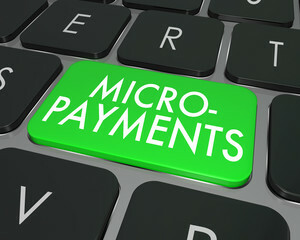 The key is to finding the right micropayment plugin for your website which answer your requirements. – It can allows to create a virtual payment solution to facilitate community interaction. – It can add a points management system that supports in-site transactions for the selling of goods and services. – To add or change points for downloading or uploading files or for writing questions or answers in your site forum. These micropayment plugins offer the most diverse options for users to expand their businesses successful without involving third party websites. They offer a variety of helpful, innovative and user friendly options to complete transactions easily and effectively. The CM MicroPayment platform plugin for WordPress by CreativeMinds adds a virtual currency to you site without the need for external payment processing. The plugin fully supports in-site transactions and integrates well with both WooCommerce and Easy Digital Downloads and their payment gateways. This micropayment plugin makes transactions faster and easier, while providing excellent security and support when needed. The CM Micropayment platform plugin creates a virtual wallet for every registered user to use for in-site transactions. The plugin offers easy wallet management, including the adding or subtracting of currency with transactions. Users can access all transaction reports, convert points to discounts and real currency via PayPal or other supported payment gateway, allow for the purchase of bonus points and preload a wallet. CoinTent is an excellent free plugin that enables users to sell all types of content with both subscriptions and micropayments. 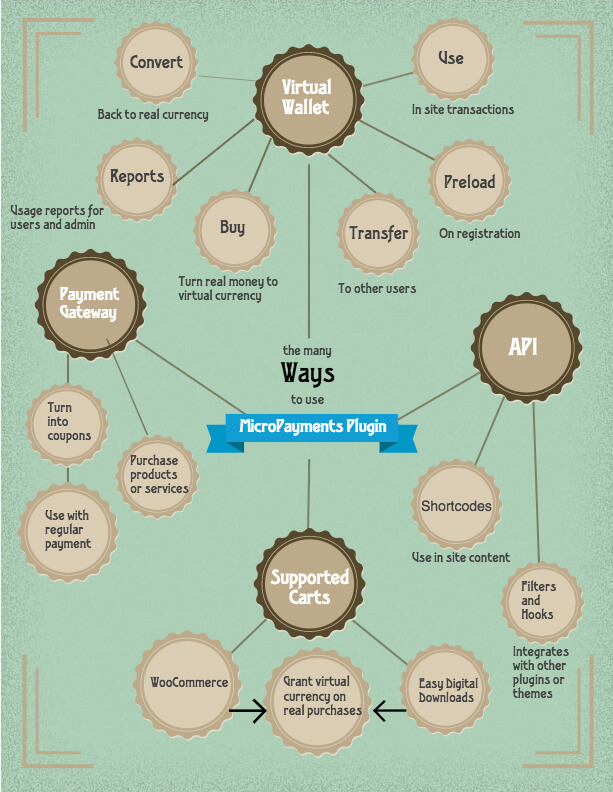 The plugin provides a quick and secure checkout with various payment methods. 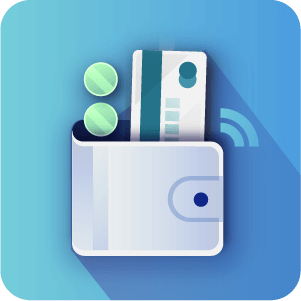 CoinTent allows users to set weekly, monthly or yearly subscriptions as well as create a digital wallet to store micropayments for one click purchases. TinyPass is a simply plugin that provides access to paid content, which is ideal for publishers. Users can access pay-per-view content, blog posts, digital downloads and more using micropayments which support two dozen currencies from around the world. This free plugin is very easy to install and use, and is a good choice for getting started with charging for content. LaterPay makes selling digital content easy, with secure payment files and excellent compatibility. The plugin offers a dynamic pricing scheme for micropayments, letting the user add price curves that change over time starting from the publication date. A LaterPay button exists for all posts that begin with a default zero price to make one click purchasing easier. Users also have the ability tease content to attract more viewers and these teasers can be customized by length and presentation. MediaPass is great micropayment plugin for small businesses and visual content users. The plugin is simple to implement and very mobile responsive. The plugin offers subscription plans, single transactions, and one time access to content with micropayments. This plugin is a great choice for increasing revenue streams, as well as charging by user, category or tag specifically. In conclusion, while there are many good micropayment plugin options, it is important to find the right option for your business. All of these plugins are customizable, mobile responsive and offer a variety of payment options for content. Micropayments can be small transactions, but there are quite a few each year and that number continues to grow more and more, so choose the best micropayment plugin for your business.